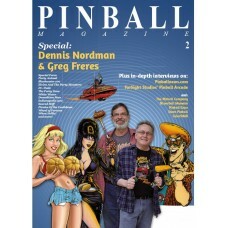 Poster of the cover of Pinball Magazine No. 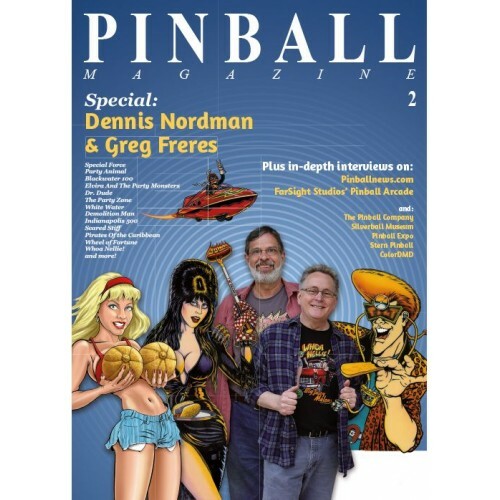 2 featuring Dennis Nordman and Greg Freres (and characters from their pinball games Whoa Nellie! Big Juicy Melons, Elvira and the Party Monsters, Dr. Dude and The Party Zone).